The way to smell and try Scentsy Products for busy people. Want to try or smell Scentsy products? No time for a party? Maybe you think you don’t know enough people to share or ask. Or maybe you just want to stock up on Scentsy or order Scentsy gifts? A Scentsy borrow bag is a great way to smell our amazing fragrances! Smell the new Scentsy scents without having to clean your house! You don’t have to have a Scentsy home party to enjoy these rewards! 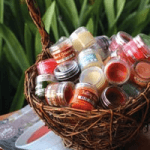 A Scentsy Basket Party is the simplest way to earn your Scentsy rewards! I provide a “Scentsy Party in a Bag”; everything you need to share Scentsy with your friends, family and co-workers. 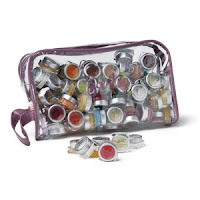 The “Scentsy Party in a Bag” contains a full-size warmer, a Scentsy Bar for demonstration purpose, a travel bag with all 80 testers mini size (think size of a lip gloss pot), catalogs, order forms, and Frequently Asked Questions to help you with your party. I am only an email or phone call away if needed! Take the Scentsy Warmer and scent into your office and let co-workers enjoy a wonderful scent during their work day. You could put the warmer in a break room for others to enjoy and purchase on their breaks. There are many ways to have a successful Scentsy catalog party. I will schedule time to discuss the details and ideas prior to the party start date. The Scentsy Party is usually opened one to two weeks for you to collect as many orders as you can to earn the most host rewards! Scentsy offers amazing Host Rewards! Your Host Rewards are based on the dollar amount of product sold at your party, excluding any sales tax or shipping charges that may apply. Even if some of your invited guests can’t make it, collect their orders before your party and count them toward your Host Rewards! Just reference the handy chart below to see exactly what you can earn.